The pups are learning their lot in life. With more snow wood hauling has become safer and effort is increasing. The key with young dogs is to keep their enthusiasm up. They are learning how to work, but not working too hard. I like to see tails waging and plenty of energy when we get back to the yard. Here are a few pics after hauling a load last week. Small teams of powerful dogs are best for hauling wood. This team is an even mix of adults and yearlings. Young Sacha in swing position next to Grandpa Bing. Sacha is learning from the best. Mikhail is the red yearling and Sergei is the furry black dog on the right. They are the biggest in the litter and already some of the biggest dogs in the yard. As the dogs get stronger the bare ground becomes more difficult to travel. 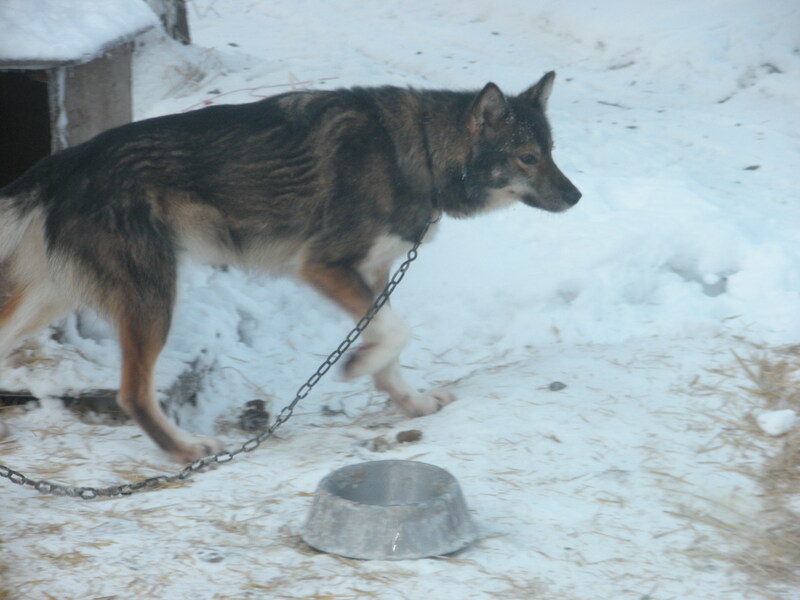 The dogs run hard and the sled violently lurches about. I feel like a pinball out there and today we just about tilted the machine. Pups graduated from short runs to hauling wood. Hauling wood on frozen tundra poses a problem. Too many dogs can run all out across the lumpy hard tundra leaving the musher on his sled hanging on for dear life hoping the next bump doesn’t throw him right off the sled. In this light small teams make sense on bare ground. Everything is slower and more controlled. We were hauling wood however. Wood is heavy and you don’t want young dogs burning out dragging a load they can’t handle. So it’s not too many dogs to get out there safely, but enough dogs to bring the load home. I went and found the patch of dry wood with eight well mannered adult dogs. Perfect number of dogs, everything went fine. For the next load I hitched up five adults and four pups. It was a little fast on the way out, but we made it fine. I should mention another difference between seasoned pullers and pups. Adults know better than to wear themselves out getting to the wood, they know the work comes on the way home. Pups don’t know any of this so they go all out from the word “hike” and never look back unless they are stopped or tire enough to slow down. Plus, it’s hard to use the break to slow them down bouncing along on uneven frozen ground. So these 5 adults and 4 pups went out pretty hard and had a tough time coming home. The pups were wagging tails the whole time and had lots of fun, but it was tougher for them than I wanted. One more adult dog would solve the problem for the trip home, but could I hang on for the ride out? 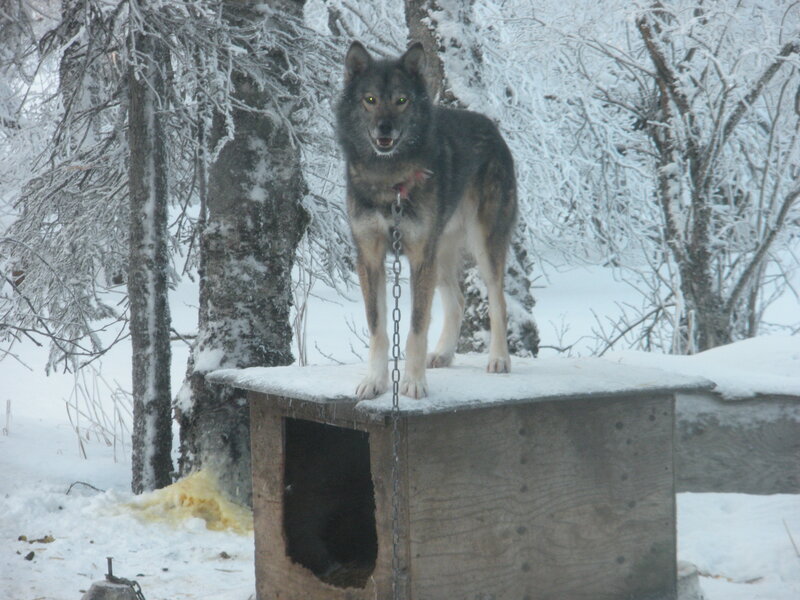 I heard Martin Buser tell a young musher once, “Listen to that little voice in your head.” The little voice in my head said one more dog was a bad idea, too much power. There were other possible solutions. Johanna suggested letting a few adults run loose next to the sled for a while, that might have worked but I worried about the road crossing. She also suggested giving a couple of dogs a ride in the sled for a while. They wouldn’t like it, but it would have worked. At the very least I could have employed the trick of letting the adults run on their neck lines for a while cutting down on power while keeping them in control. Any of those options would have been better than what I did. I hooked all ten dogs in harness and pointed them toward the outbound trail. Everyone stood there nice and quiet when I got on the sled. “It should be fine,” I thought. When I said “hike” they took off. I was bouncing out of control before I left the dog yard. While stepping on the break the sled hit a mound of something and my foot shot between the sled and the bar break. With my foot trapped under the sled another bump bent my foot backwards. I reached down, but couldn’t get my size 11 pack boot out of its hold. Knowing that I had 10 yards of flat ground before going down a hill with trees at the bottom, I held tight and tipped the sled on its side. They drug me for a while, but did stop in time to get everything straightened out. My ankle hurt, but I could stand so I continued. After three more spills and being dragged across the frozen tundra we made it to the wood pile. The ride home was nice and easy with all that power. I’m limping a bit and have a swollen spot on the top of my ankle. Nothing time won’t heal. I always tell new mushers, “Mushing is an exercise in anticipating the worst case scenario and then avoiding it.” I’m a very wise musher. Yanna is a little black blur. She took off straight out of the yard and only looked back once or twice. I’ve seen other pups with good starts, but none better than Yanna had. Very impressive little dog. Ita also had a great first run. Not only did Ita run hard when the going was good, she also geared down and pulled hard when necessary. Young dogs don’t always pull super hard in the beginning. Often they run hard when the going is good then alternate between pulling and looking around when things slow down. Ita was not looking around. She was pulling. Planning to breed both Yanna and Ita this summer and am even more excited about it now that I’ve seen them in harness. So far they are the two best pups in the litter. Mikhail is easily the prettiest dog in the yard. He looks like a red Siberian with his thick coat and perfect markings. He had a good first run. His running mate Duncan had a lot to deal with when Mikhail wanted to play instead of work, but he pulled more often than not and finished strong. Sacha is probably the third best pup in the litter behind his sisters. He ran hard, pulled hard and enjoyed himself every minute of the run. Was interesting seeing how tall he is next to Jack. Sacha will be a very rangy dog. Ivan had a tough start and didn’t like the icy spots. 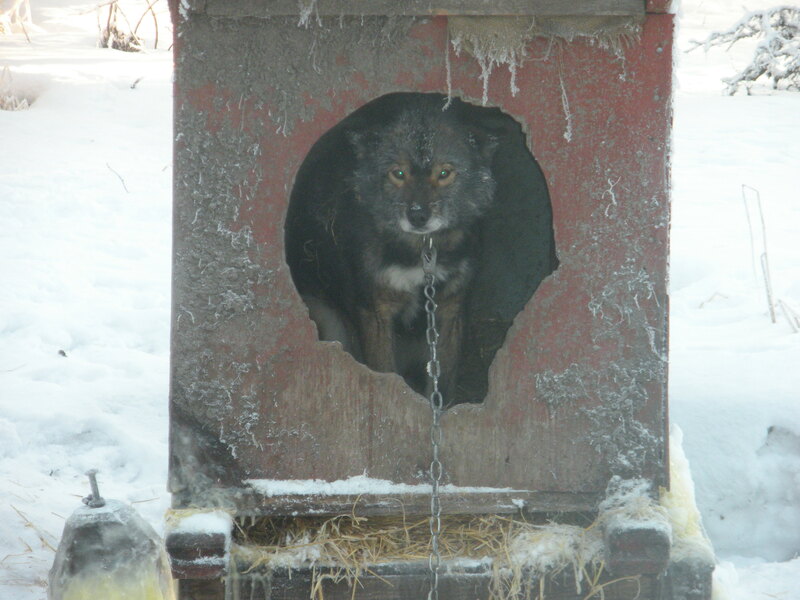 Many pups have tough beginnings only to become solid sled dogs. He gets better with every mile and that’s what counts. Ivan will be a fine sled dog by the end of the winter. Sergei is huge. I keep a certain set of x-back harnesses for young dogs. The harnesses fit everyone fine but Sergei. It only went halfway down his back. He’s only 10 months old and already fits a large/x-large harness. There’s only one more size to go before he needs a custom fit. Sergei has always had a real “throw-back, old school” feel to him. It’s the same thing in harness. He has a smooth strong gait preferring a slower pace. Look forward to great things from Sergei. Koda is the furry little dog Alethia saved when he was a pup. He’s grown into a happy young dog and is learning his job in harness. His beginning has not been earth shattering, but he’s doing very well and really having fun. Lot to be said for enjoying your job. Boris was rock solid. He ran hard, pulled hard, he did very well. His only challenge came when Bernard grew tired of him jumping over the line. Bernard likes, and expects, manners from young dogs. Boris is one of the larger pups and is used to being the tough guy so he didn’t know how to handle being put in his place by old Bernard. As long as he keeps his line tight Bernard will learn to tolerate him. Flynn is not from the same litter, but is a few months older so is training with this group. He’s related to my dogs so he fits right in. Flynn is doing very well. He’s pulling hard and doing his job. No complaints so far. It’s like the 8th grade kid who can dunk. It doesn’t mean he’ll be the next Lebron James. Doesn’t mean anything for certain, but it means he can dunk and that’s a good start. These young dogs are off to a good start. They were well bred, well socialized and are now learning their jobs in harness. They should be doing as well as they are. Like turning good grapes into a good bottle of wine, don’t do too much. Put trust in the fruit and time will take care of the rest. Pulled out the sled, hitched up eight dogs and took off across the tundra today. We don’t have much snow, but the ground is rock hard. Travel is rough but safe and the dogs were awesome. Felt good to be on the runners again. Non-mushers (and even some pseudo-mushers) believe snow is crucial to mushing. Absolutely not the case, snow is optional. Too much snow is a hinderance. All a team needs is hard ground with frozen ponds and creeks. Without the danger of getting wet, travel is safe and pleasant. Dogs have great traction with no snow to plow through. A little snow on the ground to grease the runners allows them to move too fast if you’re not careful. Bumpy travel is the only downside. It’s hard on the knees and the sled. 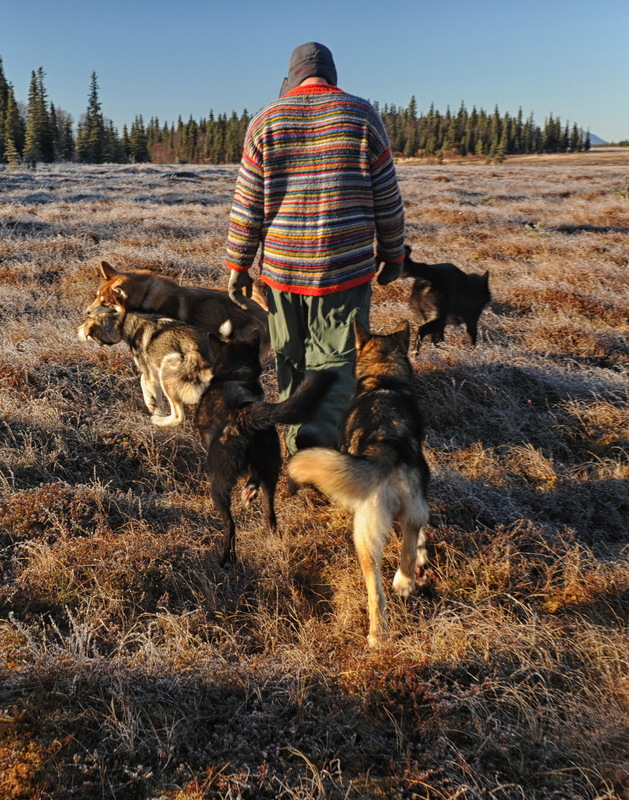 The musher must stay loose and hang on tight. It’s not the smooth ride normally felt on snow. Today’s fragile sleds are probably the biggest reason more mushers don’t enjoy bare ground mushing. Modern sleds are built on flexible thin aluminum runners with light stanchions and minimal beds. They are generally light and limber. Great for moving quickly on a groomed racing trail, but bad for banging and pounding along bare tundra. My main sled is a traditional birch basket sled with 10 foot runners built by my father-in-law 30 years ago. It’s long, tough and made for rough travel. Its length smooths the bumps and aids in crossing small creeks. As long as the dogs can jump the creek, the front of the sled will make it across and the back (where the musher stands) will drop down until the dogs pull the whole thing clear of the creek. It’s not for the novice, but a delightful way to travel the country. Plus, a team generally has the whole country to themselves as snow machine drivers wait for snow and smooth travel. I started with my eight adults; Luke, Bing, Bernard, Charlie, Lucy, Duncan, Jack and Juliet. All the dogs are over four years of age and older and it was obvious from the beginning. Everyone was hitched up without incident and stood patiently until it was time to go. Leaders were flawless, everyone understood their job well. I parted with a few adults this summer to pare down to these particular dogs. They have the primary attributes I look for: They pull hard; stand patiently in harness; and don’t get bent out of shape every time they see something new. 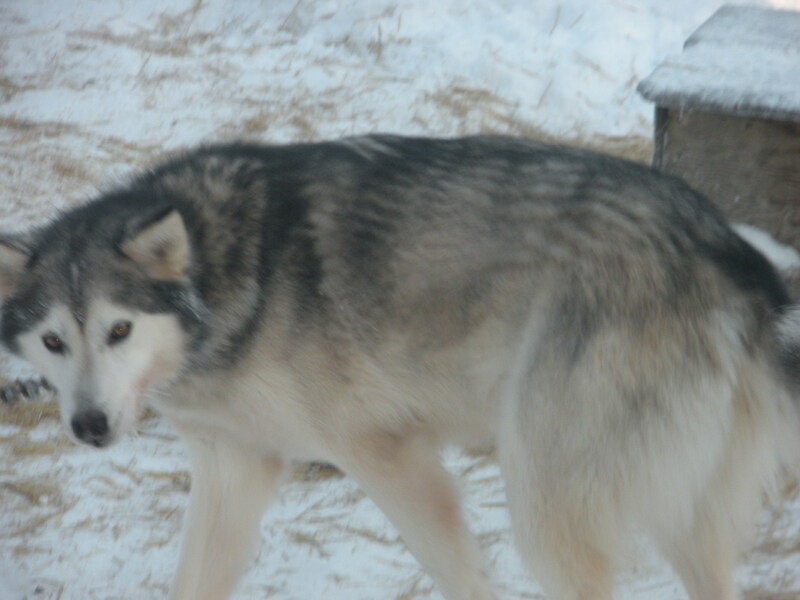 They will serve as my main team and will train the pups to be true working sled dogs. Pups get their first run tomorrow. Stay tuned. 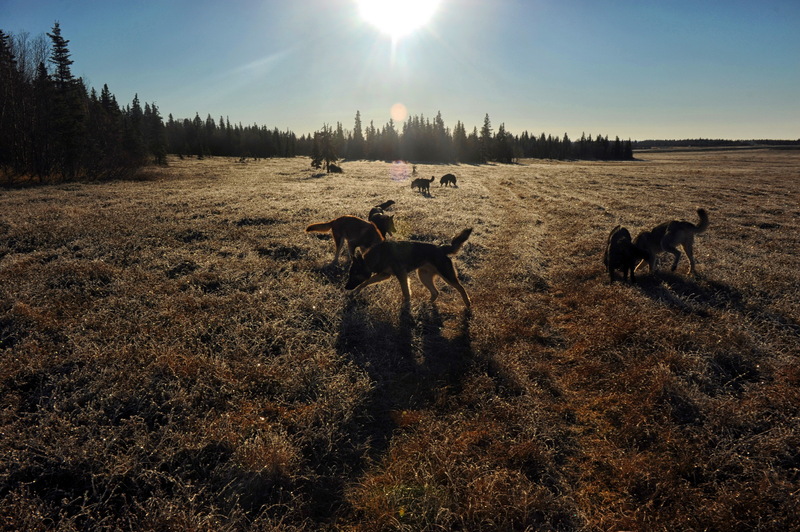 Young dogs enjoying a crisp fall run on the tundra. Mikhail enjoying his romp on the tundra. I’ve heard about “Free Running” dogs for a while. It’s nothing more than taking a bunch of dogs on a walk. Puppies always get to romp about when they are young, but get most of their exercise in harness when they get older. Decided to let the new litter romp about a bit longer and give free running an honest try. 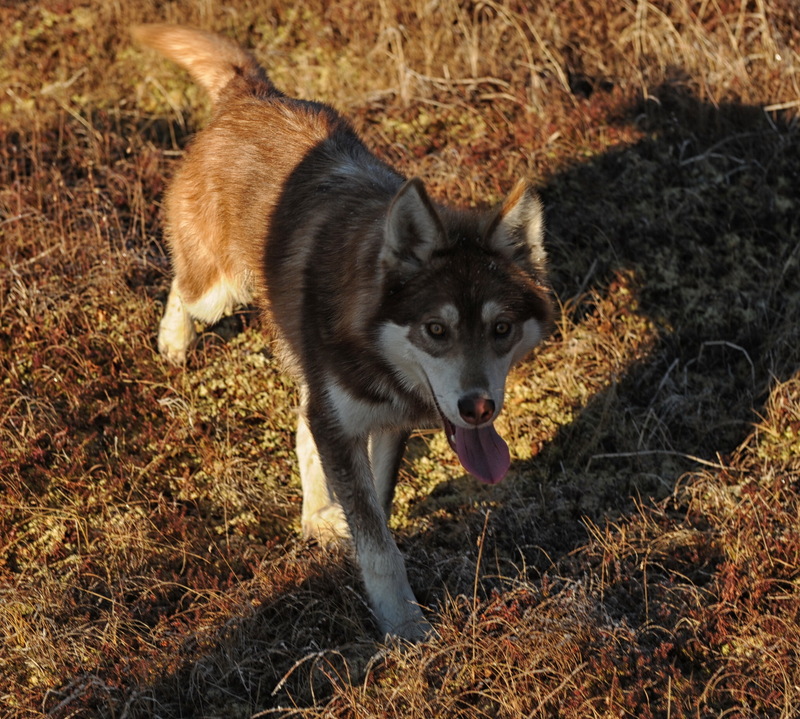 The pups are almost 10 months old and still running together on the tundra. My friends Misty and Adam came along on a recent walk and snapped the photos above. Check out more of Misty’s photos at http://www.mistynielsenphotography.com/. There are some obvious upsides to free running. First, it’s fun for everyone. They love running where they choose, sniffing, chasing, snarling, tackling, exploring and coming back to me for pets. They get great cardiovascular exercise without any mental strain, but plenty of positive stimulation. It’s all fun. Given the tundra always has water holes and creeks available before freeze up, they give themselves as many water breaks as necessary keeping it safe and avoiding overheating. The challenges are primarily logistical. You can’t just turn a bunch of sled dogs loose anywhere you want. They are big, strong and full of beans when they start running together. I’ve been walking behind our house this summer and fall. It has worked fine with the litter of pups. They are getting bolder as they get older however. Sometimes they decide they’d rather visit the dogs in the yard and run home. There are other potential free running locations nearby. Those places would work well most of the time. My concern would be other animals joining the party. How would I ever get them home if they found a moose to chase and bark at? Can imagine a dozen dogs tearing into a porcupine? Yikes! It could be a mid-life crisis, but I’m only 36. Think I get to enjoy that later. Whatever the reason, I’ve made some big changes. Quit my job, commercial fished all summer, started an organic farm and can’t wait for fall moose hunting and a winter of mushing. It didn’t happen suddenly. Been working toward this for years. I couldn’t be happier with my decision. The summer started with a big rush to plant and prepare for salmon fishing. We fished for a month and can now proceed at a more measured pace. We had an all Belleque fishing crew. Johanna and Alethia joined me in a borrowed skiff with a rebuilt motor to strain the bay for sockeye salmon. Fish didn’t return in the numbers we had hoped, but we caught a few and had a great time. Don’t remember spending that much time with either of them. Johanna and I were together night and day, Alethia was with us most of the time as well. Things got tense a few times, but mostly we talked, visited and laughed together. Johanna really enjoyed it and we are planning for next season. Alethia might be the toughest nine year old in Western Alaska. She was up at all hours, out in all weather and ready to go again the next day. We gave her days off so she didn’t burn out, but she was so helpful that we kept her with us most days. 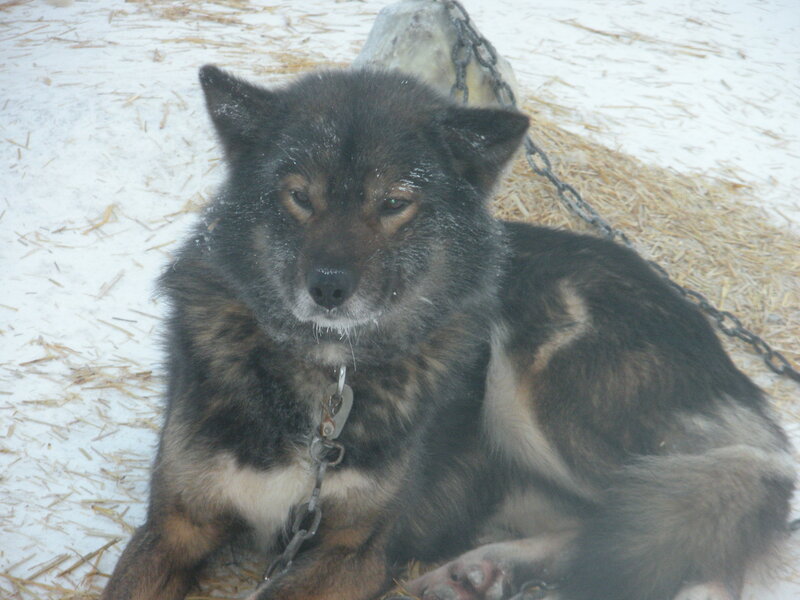 This is a Nushagak Kennels blog so I better give a sled dog update. 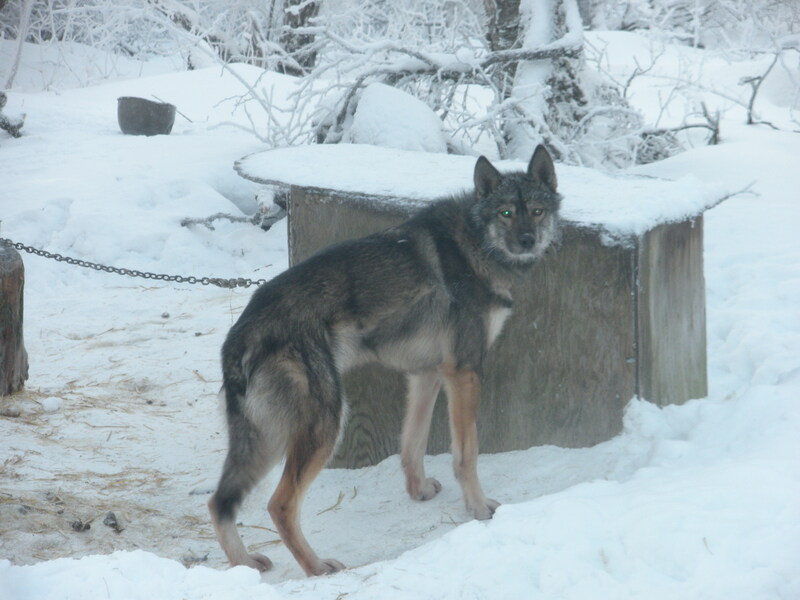 Juliet was bred to Brent Sass’ famous lead dog Silver last winter. Those pups are now 6 months old. We’ve been free running them on the tundra behind our house. It’s entertaining to watch the little pack of huskies bound across the spongy wet tundra nipping and tackling each other. I like this litter. They’ve got nice build and sound temperaments. A few of the males have a particularly old school look to them. Wanted to travel this trail for years. I thought, planned, rethought and planned again. Now with more influence on the outcome, I wake excited to meet the day and lay down at night with faith that Mr. Thoreau is right. Buddy pacing back and forth anticipating a nice cold run. Chip has developed into a fine sled dog with a classic husky look. Bing, calm and collected as usual. Bernard is warm and cozy in his big red house. Luke prefers the upper deck. Axel standing on stilts. Can you believe the legs on that kid?